LANCASTER – Judy A. Cooperberg, executive director of Mental Health Antelope Valley Enrichment Services, has been appointed to the Los Angeles County Mental Health Commission to serve a three-year term. Cooperberg, along with 15 other commissioners, is tapped to advise the Board of Supervisors and the county’s mental health director on various aspects of local mental health programs. Cooperberg was appointed by Los Angeles County Supervisor Michael D. Antonovich who represents the County’s Fifth District, a vast area which includes all or part of the San Gabriel, Pomona, San Fernando, Santa Clarita and Antelope Valleys. “Judy brings over 30 years of mental health advocacy experience to the commission. She is a problem solver and will be a great asset to the commission,” Antonovich said. As executive director of MHA’s Antelope Valley Enrichment Services, Cooperberg is responsible for the development of recovery programs for adults, young adults, veterans and homeless individuals and families in the Valley. She has embodied MHA’s commitment to promote recovery and wellness during her 30-year career in mental health services, and has spent the majority of it in advocating for comprehensive services and a fair share of mental health resources for the Antelope Valley. 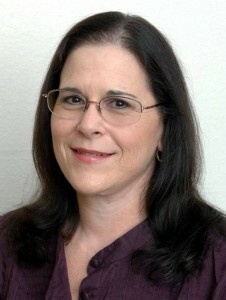 Cooperberg holds a bachelor’s degree in psychology from Sonoma State University and a master’s degree in education from Mount St. Mary’s College, and is certified as a psychiatric rehabilitation practitioner (CPRP) from the United States Psychiatric Rehabilitation Association. Cooperberg is a board member of the United Way of Greater Los Angeles – Antelope Valley Region, Antelope Valley Chambers of Commerce, Antelope Valley Partners for Health and California Association of Social Rehabilitation Agencies. She was also awarded the Clifford Beers Award, National Mental Health America’s highest honor; a Special Congressional Recognition; induction into the California Governor’s Hall of Fame for People with Disabilities; the Antelope Valley Athena Award, the Eli Lilly Welcome Back Awards for Lifetime Achievement; and United Way of Los Angeles – Antelope Valley Region’s Volunteer of the Year.